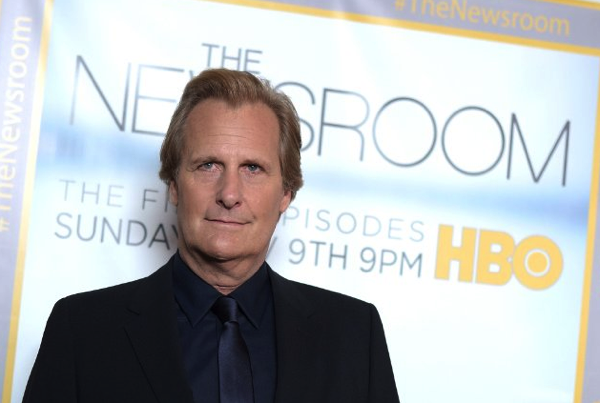 Jeff Daniels could play the role of former Apple CEO John Sculley in the Steve Jobs biopic Universal is preparing, reports The Wrap. The actor could join Michael Fassbender, who was chosen to play Steve Jobs, and Seth Rogen, who will play Apple co-founder Steve Wozniak. Daniels, however, hasn’t received an official offer yet, but it will materialize soon, the Wrap has heard, since he is considered the director’s top choice for the role. The Universal Pictures film will be directed by Danny Boyle, and the script is signed by Aaron Sorkin. Mark Gordon, Guymon Casady, Christian Colson, and Scott Rudin are producing the movie. Rudin has worked with Daniels before on The Hours. Daniels recently won an Emmy for The Newsroom, and he also won the Academy of Science Fiction, Fantasy and Horror Films’ Saturn award for his performance in Arachnophobia in 1991, and the Chlotrudis award in 2006 for the best supporting actor in The squid and the Whale. The forthcoming Jobs biopic made headlines recently, as some the actors turned down roles for unspecified reasons. Recently, Natalie Portman decided to skip the role of former Mac marketing head Joanna Hoffman. Universal acquired the Steve Jobs project from Sony, for more than $30 million. Production is now slated to start in the spring.